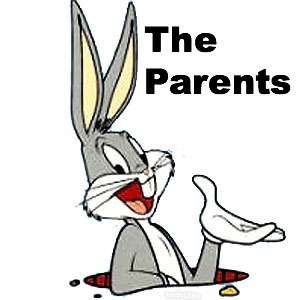 It occurs to me that our life is made up of one mish-mashed crazy Looney Tunes episode. The cast of characters have been set for years, only recently have I put two and two together and made sense of it all. 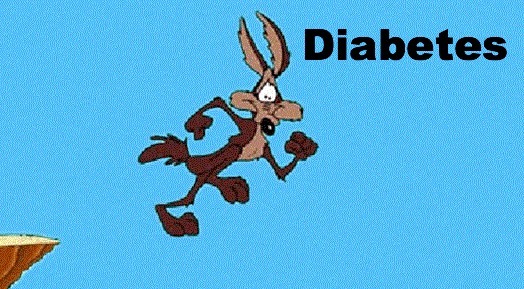 Isn’t it obvious that Diabetes itself is Wylie E. Coyote? He tries so hard to thwart our plans at living a normal life, but he always comes up short. Sure, he’s able to inconvenience us, but daily we have the satisfaction of throwing him off a cliff, or watching a train hit him in a tunnel. His bombs will only backfire. 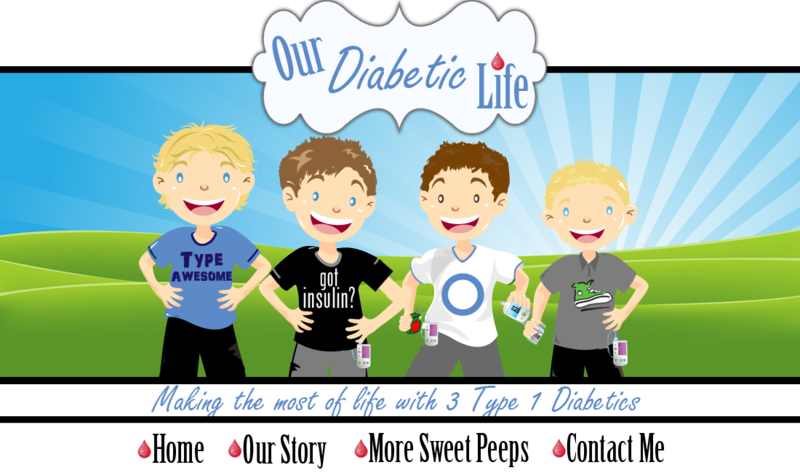 He thinks he’s a genius, but 9 times out of 10…"Diabetes, you’re doing it wrong." 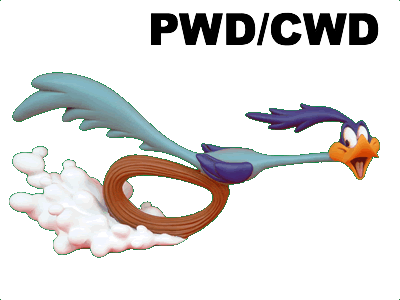 Thankfully my children play the role of the Road Runner. It’s exhausting watching them navigate the landscape as Wylie chases them around like the lunatic that he is. But the gratification of their outsmarting him makes the show so worth the watch. They are brave, cunning, and seem to have a continuous supply of fight running through their veins. They are always the hero. 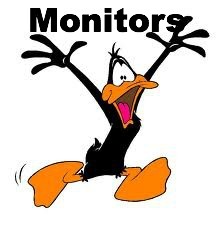 The blood sugar monitor seems to be the Daffy Duck in all of this. Starved for attention, he must be made part of our day over and over again. He is the most needy, requiring strip after strip to be inserted…giving us information that not always is accurate. He isn’t one for attention to detail, but he pretends to know it all regardless. His absence is always noticed...and never in a good way. 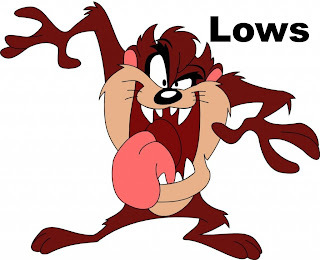 The Tasmanian Devil represents all the lows. He twirls in, out of nowhere, and causes complete chaos in his path. Bearing his teeth, slobbering and screaming incoherent thoughts, all to scare the bajeebies out of us. He is never welcome, and when he leaves there is most certainly a mess left in his wake. His aftermath includes juice boxes, candy wrappers and the dust from glucose tabs that always takes time to settle. 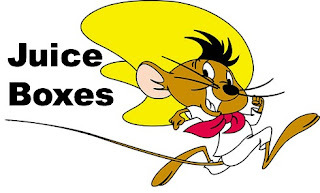 The juice boxes represent Speedy Gonzalez. 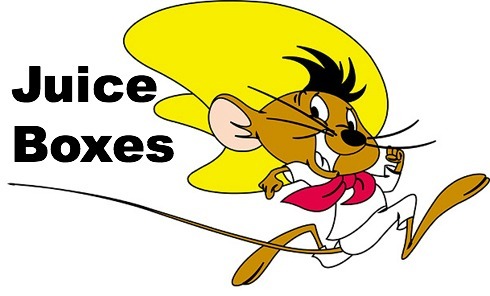 He always races in to save the day...and thank the good Lord he is fast. The faster Taz gets out of the picture the less damage is done. 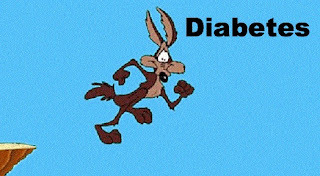 On the other end we have Yosemite Sam playing the role of high blood sugars. He thinks he owns the place…it takes time to humble him. We have to work at bringing him off his high horse, all the while stroking his ego as his presence takes a lot of our time and energy. Everyone is glad when he goes. He is loud and obnoxious, and his gun waving is completely threatening. When Yosemite Sam hangs around too long, Porky Pig always visits us. 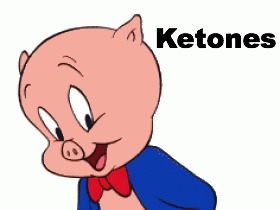 Porky plays the role of Ketones and is maddening to hang with. He repeats the same thing over and over again. Waiting for the number to change, or the color on a urine strip to change takes serious patience on our part. He just wants to visit...we just want him to go. His stuttering echoes over and over in our ears. He always overstays his welcome. 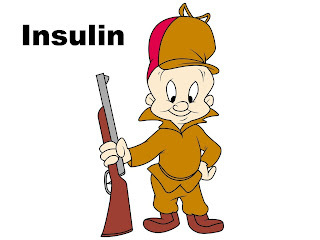 Elmer Fudd is obviously insulin. 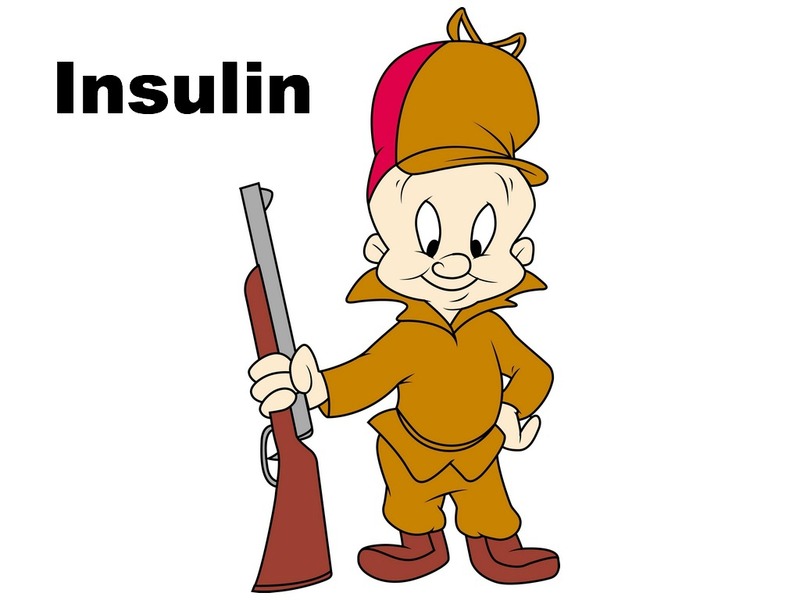 “Be berry berry quiet…I’m hunting high blood sugars.” He is vigilant, but often comes up clumsy and short. It isn’t his fault though. He was born this way. 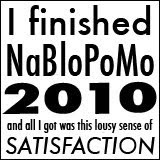 He does the best he can with the brainpower he’s given. He’s obsessed with his job…so as an ally, it’s always nice to have him around. Not to toot my own horn or anything, but the only guy that fits for me is Bugs Bunny. I can outwit this cast of characters with my brain tied behind my back. Sure, they always try to find a way to surprise me…but I’m at a place in my life where their ways don’t faze me anymore. I try hard to use my humor to counteract the havoc these guys throw into my day, all the while staying calm and collected during the most chaotic moments. I know that I have passed on my wily genes to my little Road Runners, and I glean a lot of peace from that. Between the two of us, Diabetes is going to take a lot of long walks off a lot of short cliffs. When all is said and done, dancing in circles with these characters day after day makes for an interesting life…and lends itself to some good storytelling. Sure we’d rather be extras in a Charlie Brown cartoon. Their day seems so slow and relaxing, doesn’t it? But we were dealt this hand, and we’ll dance along with it. Charlie Brown is totally boring anyway. HI Meri. 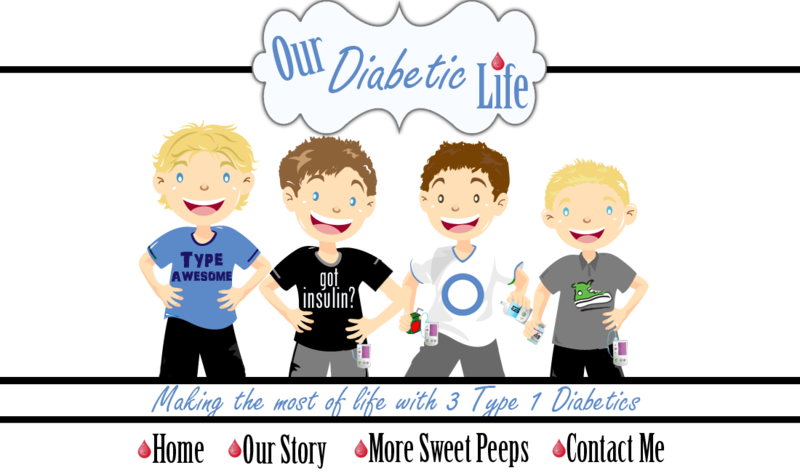 We are relatively new to T1. My daughter was diagnosed 1 year ago. I read your blog and it is a source of inspiration and calm. I am so happy to have found it. You and your family are amazing . You help me find strength and inspiration when I need it, you remind me to take one day at a time, to appreciate every moment with family , and remind me to look for silver linings and stay positive and try to find some humor in the darker times. I just wanted to let you know how much you and your family help heal the rest of us . Thank you !